Our U.S Olympic teams have looked like fine oiled machines so far in the 2014 Winter Games, combining for a nation-leading 23 medals. As a leading mechanical products distributor, we know what it takes to keep things running smoothly and we want to help you take your business to the next level. Click on the button below and let us know how we can help. Arrowhead Belt Service has a team of professionals that are factory trained and certified in the repair, installation and vulcanization of conveyor belts. On site, 24/7 service helps you increase your uptime and production. 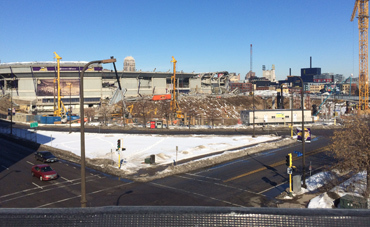 The demolition of the Metrodome continues to move at a rapid pace. There was a little hiccup with the demo this week when an unexpected beam fell. Luckily, no one was hurt but we did feel our building shake. 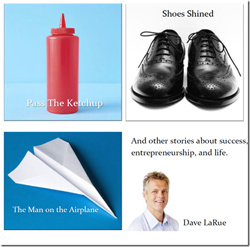 I wanted to share this story with you to show the importance of what a small act of kindness can have on the lives of others. You never know who is watching you, so always try and do the right thing. Thank you to all those who attended the Conveyor Solutions Trainings in Sioux Falls, S.D., and Minneapolis. We appreciate the support from Dodge, Fenner Dunop, Flexco, Superior and PPI.